Two outs to go in the season, eight-nothing Huskies, it’s been a swinging party and nobody invited the Mats. Now Mould’s on the mound to close it out, he’s just been unhittable all year. A lot of empty seats out there, the Mats fans are making their exit, nothing to play for. A shame neither team made the playoffs. Here comes Westerberg, oh-for-three with three strikeouts, a game he’d like to forget. The sun is hanging on over the Schlitz sign in right to catch the final minutes of the season, like a kid up past his bedtime; winter’s come early to PharmaLake Park and it’s a long road to spring. Mould nicks the outside corner, strike one—boy! that cutter had a lot of movement on it, started a foot outside. Westerberg’s shaking his head, but you have to tip your cap, Mould’s stuff is just dazzling. If he’s not called up to the majors next year someone ought to be canned. Folks, if you’re just tuning in, it’s the bottom of the ninth already, golly—we might squeeze this one in in under two hours. Most of you know this is my last game calling the play-by-play for the Mats. For forty-five years you’ve invited me into your homes and automobiles, and I’d like to take a moment to thank you all. You know, I started out fielding foul balls down the third-base line here at PharmaLake Park, of course back then it was called Stark Field, some of you might recall, Paul Stark was the original owner, and it’s a—a travesty—they sold the naming rights, I can say that now, nobody’s going to cut my mic. Mr. Stark never installed an owner’s box, he used to sit in the grandstands with the regular folks, in his pressed blue suit and matching fedora; he wanted to experience the game from every angle, he liked everyone to get their money’s worth. Didn’t drink alcohol. Never heard him curse. His only vice was chewing tobacco. 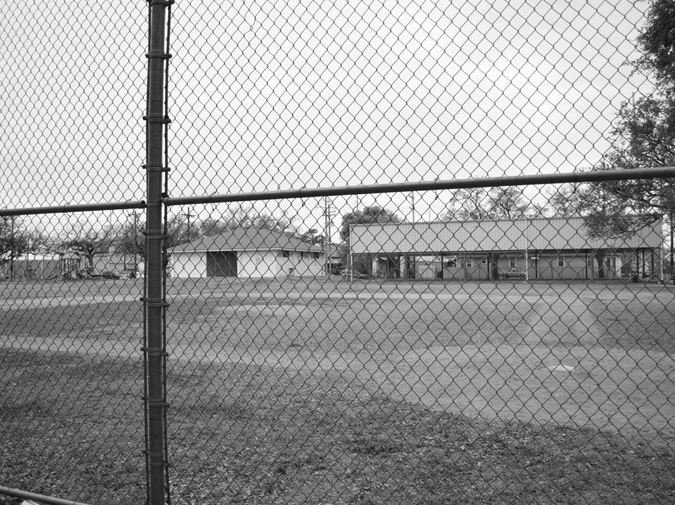 One spring day Mr. Stark was sitting by the visitors’ dugout and he overheard me calling the play-by-play from my folding chair in foul territory, it was something I did to stay focused, I didn’t have any grand ambitions. Well, he waved me over during the seventh-inning stretch and gave me a job on the spot, just a kid of twenty-five with no broadcasting experience, and I owe—I owe everything to him, married his niece the following summer—and so I’ve got to thank Mr. Stark, and also notify you that Westerberg has struck out, he worked a full count but Mould fooled him on a change-up. That’s four K’s in as many at-bats for Westerberg, he’s going to have to carry that into the offseason with him, there’s no chance at redemption tomorrow. Sorry for taking you away from the action there, folks, don’t pay this leaky-eyed grandpa any mind. We’re bringing you the last game of the season, Huskies versus Mats, visitors up eight-nothing, two down in the ninth. Stinson comes to the plate, the Mats’ last hope and it’s a longshot but that’s the beauty of the game, there’s no clock ticking down, if he gets on base the game can go forever. I once called a twenty-two-inning game, lasted six hours, by the end we were like babies, nobody could hold their head up; my throat—Stinson lays off a sinker in the dirt—my throat was so hoarse I had to whisper the final innings, ended on a walk-off home run, golly, I can remember it like my wedding night, the big full moon … There’s a strike now, the count’s one-one. Lots of people ask about my plans for next spring, when I’m no longer up in this press box where I’ve seen every Mats home game going on five decades. I’m a lucky man, I wouldn’t have traded it for anything. But I won’t miss this lonely booth high above the backstop, monitors crowding my vision and my producer—Tim is shaking his head—droning in my earpiece. Strike two, another heater. Mould’s stuff is just electric, you’ll be hearing a lot about this kid, twenty years old, golly. I’ll bet they could hear the smack of the catcher’s mitt twenty rows deep, but not up here. Up here you can hardly hear the crack of the bat, the crowd murmuring like the seashore, vendors hawking cotton candy at the top of their lungs. I miss the creak of the wood seats as you stand to let latecomers through. I miss the smell of peanuts and beer and hot dogs with the works on a summer afternoon. I miss that first glimpse of your hero flexing on the dugout steps, bat across his shoulders, forearms draped over the barrel, the big number on his back like a secret prayer you’d chant over and over. Where will I be Opening Day? I’ll be back down there craning my neck at the scoreboard, waving at my ten-year-old grandson who’s a batboy next season, muttering the play-by-play because it’s like breathing, I can’t stop cold, and I’ll be looking for you, Mr. Stark, for that blue fedora in the crowd, so long—there’s a squibbler off the bat of Stinson! Mould comes off the mound, should be a routine out—but look at Stinson, running out the play! He’s giving it his all! Mould bare-hands it, flips underhand to first, beats him by half a step, this one’s over folks, Mats lose. It shouldn’t have been that close, he really hustled, boy! For a moment my heart skipped a beat—could you feel it too? Matt Izzi's fiction appears in the current issues of Post Road Magazine and Shenandoah. He is originally from Rhode Island and works in Cambridge, MA.